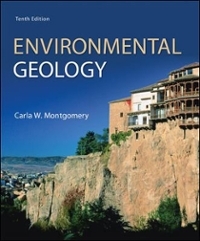 Environmental Geology 10 Edition Environmental Geology, tenth edition, presents the student with a broad overview of environmental geology. The text looks both at how the earth developed into its present condition and where matters seem to be moving for the future. It is hoped that this knowledge will provide the student with a useful foundation for discussing and evaluating specific environmental issues, as well as for developing ideas about how the problems should be solved.